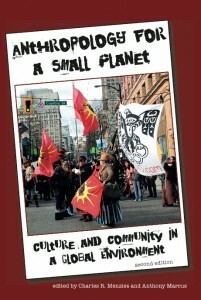 A great book designed for the contemporary anthropology classroom. Research – meeting people, talking to them, working with them, interviewing them – is what anthropology is all about. Socio-cultural anthropology draws upon friend-like relationships to reconstruct detailed understandings of small groups of people. Whereas survey research, for example, paints broad brush pictures of large groups of people, anthropology focuses on long term relationships. The survey approach might give one a lot of superficial details about a large number of people. Anthropology, however, gives one rich detail about a small number of people. Both views have advantages, but for me I am more inclined toward long-term relationships than the one-night stand of large-scale surveys. At the heart of the anthropological endeavour is a desire to make sense of our world through long-term, intimate social relations. There are certainly many types of anthropological research. Nonetheless, and despite all of our differences, all anthropologists share a desire to learn about real people and to apply the knowledge we gain to making our common world a better place for all. This edited collection had its roots in a circle of friends and colleagues studying at the City University of New York’s Graduate Center in the mid-1990s. As we were making the transition from students to teachers we felt the desire to have teachable case studies that dealt with real problems that our mostly urban students would relate to. Anthony Marcus, the editor of the first edition of Anthropology for a Small Planet, took the initiative and organized the first volume. Marcus wanted clearly written and engaging articles that demonstrated anthropology in action. Between the publication of the first and second editions Marcus and Menzies, in collaboration with Katherine McCaffrey and Sharon Roseman, founded the journal New Proposals. The journal is an attempt to explore issues, ideas, and problems that lie at the intersection between the academic discipline of social anthropology and the body of thought and political practice that has constituted Marxism over the last 150 years. The University of British Columbia in Vancouver, Canada hosts our journal, which is an experiment in open access publication. 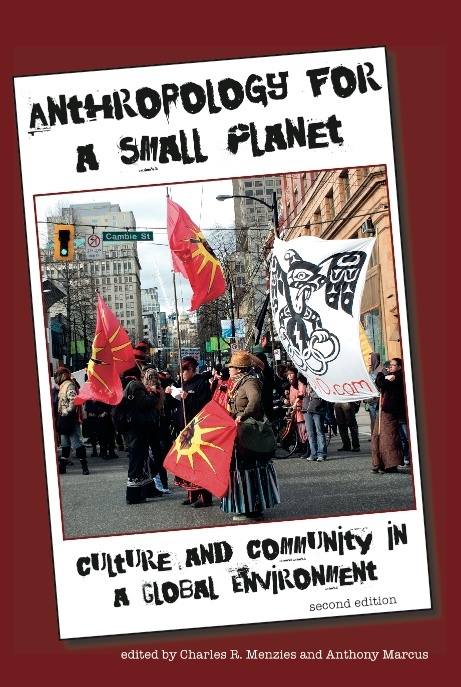 The second edition of Anthropology for a Small Planet blends together four of the original articles with five published in New Proposals. Each essay was selected for its relevance for learning about how to do anthropology that makes a difference in our world. Too often our academic studies focus on pointing out everything that is wrong but ignore what can actually be done or deny the reality of the world that most people live in. That’s not the case here. This collection of case studies teaches by example. Yes, the reader will see authors engage in critique, but most importantly our authors show how to conduct anthropology that makes a difference. The first set of essays focus on the intersection between race and nationality. The second set of essays explores the intersection of social identity, belief, and inequality. The final set of essays documents the possibilities for an engaged anthropology rooted in a social justice paradigm.